The Guardian has published results in detail for the Alternative Vote referendum held on Thursday 5th May 2011. 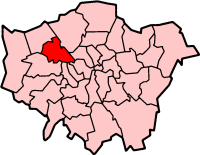 The No vote won with 30,941 (54.77%) in Brent rejecting the AV system to elect our MPs and 25,551 (45.23%) voting Yes. Turnout in the London Borough of Brent was 30.78%. Posted on May 9, 2011 May 9, 2011 by Cllr Krupesh HiraniPosted in Brent, Election, GeneralTagged Alternative Vote, AV, AV Referendum, AV referendum result, Brent, Brent AV referendum result, Brent AV referendum results, Guardian, london borough of brent, No to AV, Yes to AV.